Need something new for your neverending reading list? Let Paul guide you in the right direction. I’ve just finished this book while on a tour bus, blocking out some cliché-ridden heavy rock blaring out from an East German dustbowl of a festival. It was a relief to escape into this magical (yet grim) other world, where unusual events keep occurring. 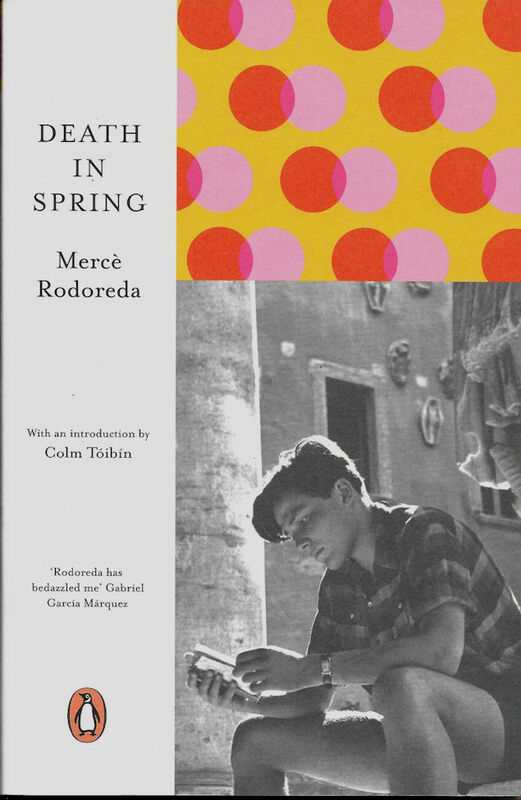 Rodoreda was a Catalan exile and this book is seen as some sort of allegorical retelling of life under fascist dictator, Franco. It certainly felt like a fable to me; I wasn’t sure of the time when events were taking place, especially because it’s set in a mountainous village built over a river: a very rural place, far from modernity. Perhaps that makes the sinister acts within the novel more feasible - the village feels cut off, subservient to its own set of harsh rules. And what rules they are! The blacksmith has some semblance of control over the other villagers, making sure their weird rituals and festivities are undertaken to the letter. We see blindfolded pregnant women, trees as tombs, and funerals where people are forced to gorge on horseflesh afterwards. Worst of all is the annual drawing of lots as to who swims naked beneath the village to see if the deadly rocks that form the village’s foundations are still secure. These details are mentioned briefly, then expanded upon, chapter by short chapter, so that the bigger picture gradually unfurls. Thankfully, amongst this horror is some beautiful writing; blissful childhood moments surrounded by nature, where everything slows to an idyllic crawl: “I picked up a leaf that was only a web of veins, like the wood and beams of a house, with nothing binding them together.” As the narrator grows into an adult, nature’s cycle begins to mirror the spiteful villagers’ behaviour and the more innocent passages become less frequent. I was bewitched by this book and its imagery will live long in my mind, for better and for worse. In terms of its allegorical content, it shows how quickly events can spiral out of control if the conditions are right, although you don’t need to know its disturbing context to enjoy writing that’s this good.